Preliminary programme announced and registration now open, click here for further details. Further details on the pre conference training, poster session and team of the year now available. Would you like to receive information about upcoming Events? Membership? Annual Conference? 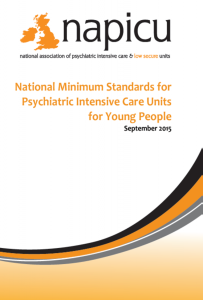 for Young People (September 2015). 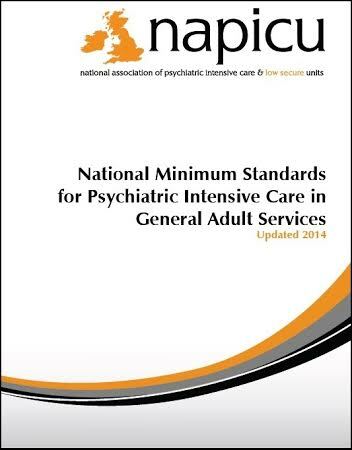 National Minimum Standards for Psychiatric Intensive Care for General Adult Services (September 2014). Click here to order or download. The NAPICU annual conference will be held in Glasgow on 5th and 6th September 2019. Preliminary programme announced and registration now open, click here for further details. 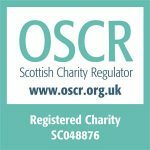 NAPICU is a not for profit multi-disciplinary organisation and is also a registered charity SC048876 committed to developing and promoting the speciality of psychiatric intensive care. We are dedicated to improving service user experience and outcome, and to promoting staff support and development within Psychiatric Intensive Care Units and Low Secure Units.